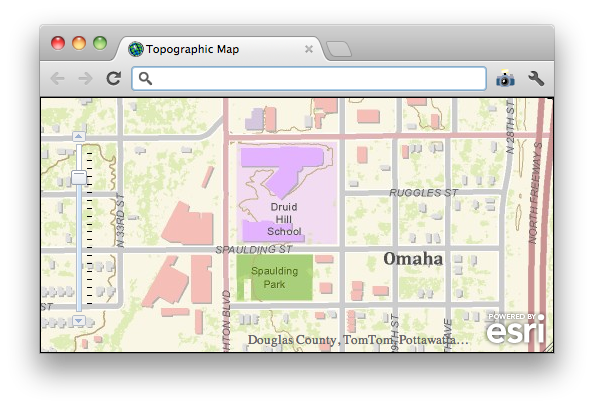 The widget automatically updates based on layer visibility and map extent. Attribution is automatically included when using the full build of the API. When using the compact build, it must be manually included. See the Attribution Widget API reference for more information, including the CSS classes used to change the look of the widget. New property: attributionWidth to specify the width of the attribution widget relative to the map's width. 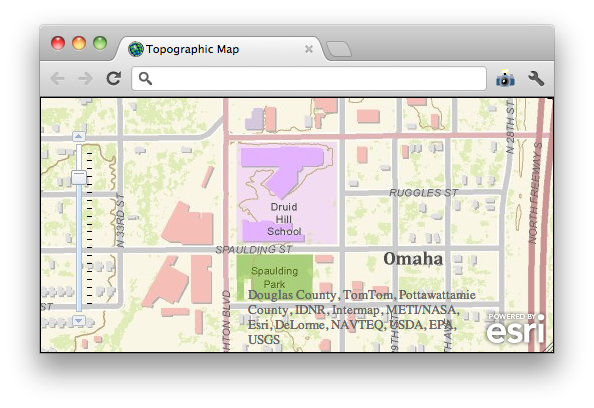 Additions to the esri.layers.Layer class. All layers now have minScale and maxScale properties as well as methods to determine if a layer is visible at a specific scale. All layers now have attribution properties and methods to suspend and resume drawing. 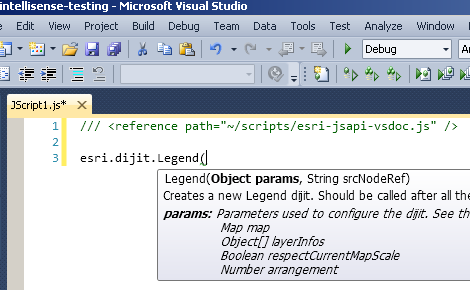 The Layer class documentation has more information. The Overview Map now has public show and hide methods. NIM083261: Use the bing REST API directly for image metadata instead of going through an adaptor. NIM083262: Print Widget: support extraParameters if print service has been customized. NIM083263: Print Widget: honor default visibility for all sublayers in a dynamic map service. NIM083265: Print Widget: bing maps hybrid layer fails to print. NIM083266: esri.tasks.FeatureSet.toJson() should ignore the featureSet's fields property when it is an empty array.